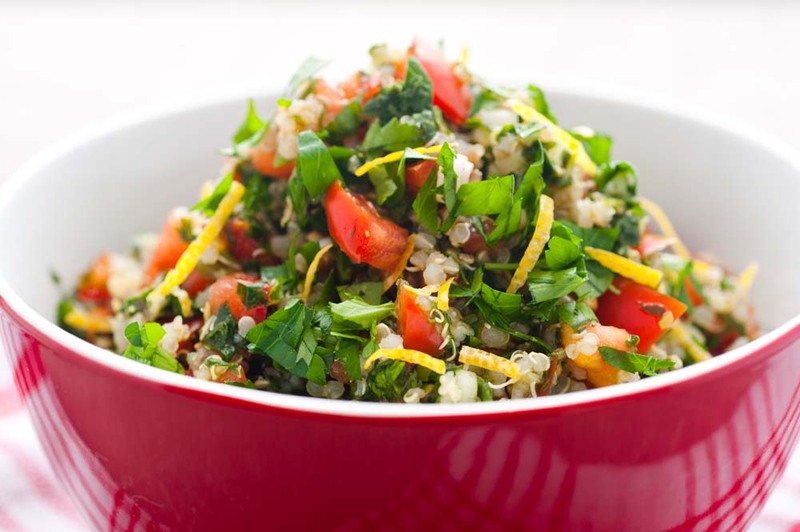 Tabbouli, tabouli, tabbouleh, or parsley salad. No matter what you call it, this is a dish only to be eaten with your nearest and dearest friends and family – the ones who will tell you when you have parsley stuck in your teeth, and believe me it will happen. This is not traditional, but is a delightfully fresh salad for a hot day. Great served with lamb, chicken or baked pita bread. spread on a plate or tray. Pat herbs and tomato dry with paper towel before placing them in the bowl. This helps stop the salad from turning soggy. Combine tomato, spring onion, cucumber, parsley, mint and garlic, and mix them in a small salad bowl with salt and pepper. Zest the lemon, then squeeze the juice and add both to the salad bowl. Finally add the cooked and cooled quinoa and toss together. This salad is best served immediately. 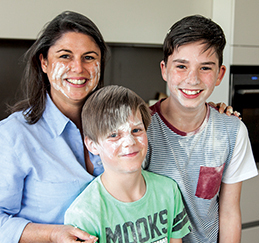 Jodie Blight | We’re all busy and want quick, healthy and delicious meals but sometimes just don’t have the time. Summer TABLE will inspire you to put variety and zest back into your mealtimes and with a free APP to create a shopping list on your phone, dinner will be ready in no time! And – you learn how to use leftovers in innovative new ways.